Happy Monday! What a weekend here in Cleveland Ohio. 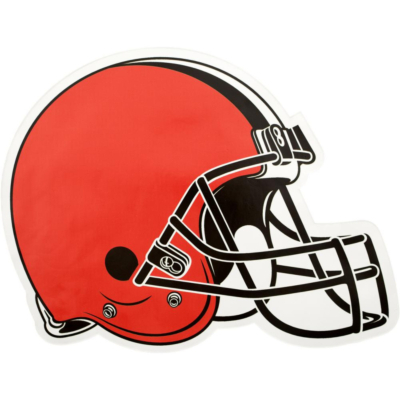 Our Cleveland Browns won yesterday, 28 to 16, against the Atlanta Falcons! Way to go Browns! And how about Chubb? He set the record, 92 yards, for the longest touchdown run in Browns history! Mayfield is looking good and us die hard Browns fans are finally getting a taste of victory and it feels good! We also experienced our first icy morning on Saturday. The temperatures dipped into the 20’s and a sheet of ice coated everything. Winter has arrived here in Cleveland. The upcoming forecast shows snowy days and cold temperatures. Make sure your heating system is running efficiently by scheduling a tune-up/safety inspection on your furnace or boiler. I you are having problems with your heating system, make sure to schedule an experienced HVAC technician to diagnose the problem and repair it properly. If you are without heat, it’s time to replace your furnace or boiler. Verne & Ellsworth Hann, located in Cleveland Heights, is here for all your heating needs. Serving Northeast Ohio for over 63 years, Verne & Ellsworth Hann has been the number one choice for homeowners in Cleveland Heights and the surrounding area. Owned and operated by Bill and Chris Hann, Verne & Ellsworth Hann is the ONLY Hann family owned heating, cooling and plumbing company in Cleveland. Winter is upon us. There is no better time to take care of your heating needs than now. Give Verne & Ellsworth Hann a call at (216) 932-9755 or visit our website at VEHbrothers.com.